Seo professionals have talked a lot about side speed since Google made it a ranking factor. Speed is a critical element of running a successful website and should always be a priority for site managers. Faster loading websites benefit from better user engagement, higher conversion rates, higher SEO rankings and much more. According to surveys done by Akamai and Gomez.com nearly half of web users expect a site to load in 2 seconds or less, and they tend to abandon a site that isn't loaded within 3 seconds. Also 79% of web shoppers who have trouble with web site performance say they won’t return to the site to buy again and 44% of them would tell a friend if they had a poor experience shopping online. These are real reasons why you need to ensure that your website loads as quickly as possible. Even if you have the number one ranking in search results for your target keyword, you are wasting all of your marketing efforts if your visitors are leaving due to slow loading times. How can you measure your website's speed? Google wants internet to be as fast as it can and so do web users and customers. We present an interesting case study in page load time, advertising and sales performance for someone who sells seasonal products. With all things in the long-running campaign remaining constant but one factor, page speed, the signs pointed to site speed as the culprit for a decrease in sitelinks impressions from 90,000 in October to 2,000 in January! In November 2014, he saw that one of the destination URLs went to a page which was quite slow, so he dug into the PageSpeed Insights tool and found the score to be very low for many pages. But, just showing improvements for page speed wasn’t going to be enough to create action, he had to build a strong case that showed slow page load time was negatively impacting sales. He chose a sample set of the most busiest months of the year during the summer of 2013 and 2014, as a timeframe to analyze page load time in correlation with online sales. What he got was a pretty powerful image! 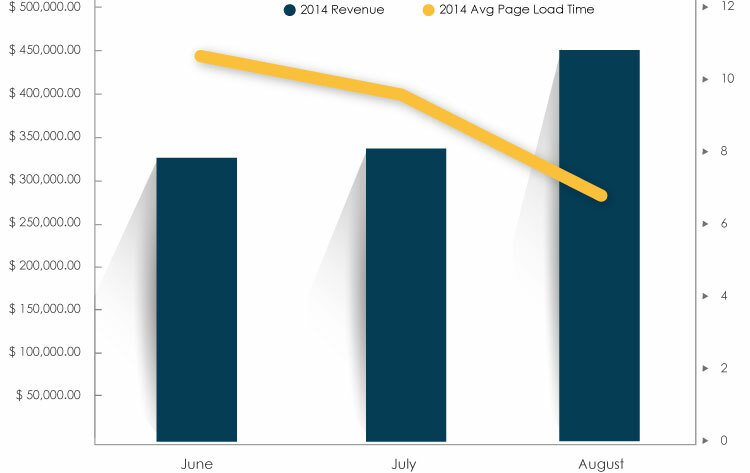 In 2013, as the page load time became worse, the online revenue fell as well. 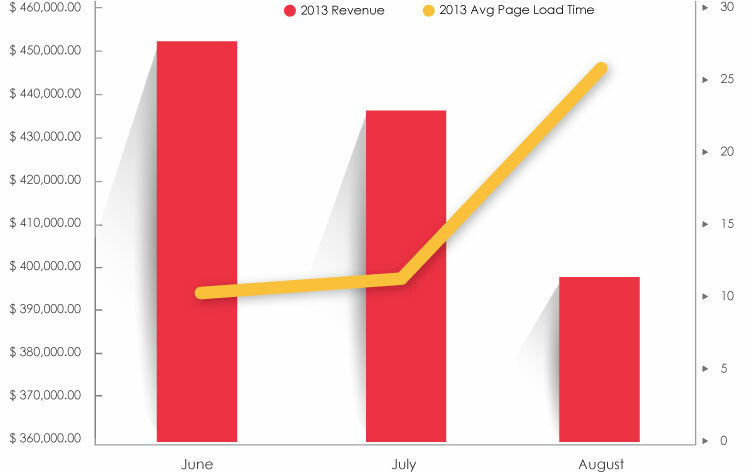 • The yellow line represents average page load time which shows 10 seconds in June and 25 seconds in July. • In August when page load time was the worst all summer, sales were down significantly. What we found again was that the revenue increased as page load times decreased, or improved! • The yellow line represents page load time beginning at 11 seconds in June and improving to 7 seconds in August 2014. At this point in time (August 2014), it looked like things were improving for his site and he was on his way to get back in the clear in terms of page load time. This case study is a significant reminder that page speed matters to sales performance and is important for your website visitors and for Google! So in order to increase your revenue ,you have to make a good marketing plan for your product and of course increase your page load time!